Okay, we’re into the last week of National Novel Writing Month now, and I still have a few spotlight interviews to share with you. Today’s comes from Star Davies, who’s come on my blog to promote Metamorphose. When did you start with Nanowrimo? 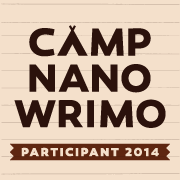 I joined Nanowrimo back in late 2007 after some fellow writers created a buzz about the race to 50k. I was addicted. 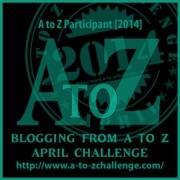 from 2007 – 2009 I entered the race and completed at least 50k words. In some cases far more. In 2010 and 2013 circumstances forced me to sit out on the excitement, but I was quickly back into it. While I have enjoyed the writing and the thrill of the race, my fondest memories of Nano are from the community of friends I have made over the years. Most of them have very strong characters and interesting stories I would love to see in print. They have been incredibly important to helping me grow stronger as a writer. I participate regularly on the Role Playing forum to blow off steam and de-stress from rough days. I love this community and am proud to support it. For the first time since I seriously started writing, I am working on a screenplay. It’s incredibly stressful because the margins won’t work, the rules on formatting direction and dialogue are so strict, and my computer hates me. It’s a fantasy, because really, what else would I write? Last Man to Die is about an unlikely hero named Tov as he relates the horrors that humans sustained as they were exterminated by an animal-like race called the Kraits. Spoiler alert, he sustained injuries so great that he is the last human to die. Ha! Anyone who is a fan of fantasy knows how impossible that is. Most books come in a series. There are a lot that have influenced me, but I think I would have to go with … Robert Jordan’s A Memory of Light. I have never cried so much throughout a book before in my life, and I doubt I ever will again. On Wrimo or on getting published? On wrimo, I would say find a writing method that works for you and dedicate yourself to it every day. I put earphones and go “under the hood” when I write. Nothing else exists but me and the story. And don’t stress about word count. It will only hold you back. On getting published, I only have one thing to say: Submit frequently to agents and write often. Writing is a profession to those who are serious, and it takes serious dedication. Sneaky Ninja question! What is your favorite color? Blue. I have always loved blue. It can be youthful or mystical and more. I am currently working hard to launch a new e-magazine dedicated to helping emerging sci fi and fantasy authors find a home for their short stories. Our goal is to someday be considered reputable enough to be included on the prestigious SFWA magazine list, and to have our writers get nominated for prestigious awards like Nebula or Hugo. It requires participation from unique new voices though, so submit, submit, submit. We are hoping to have our first issue out in January, but it depends on how many submissions we receive by then. Spread the word! We are also running a Kickstarter campaign to help get our funds for founding the magazine. The money goes toward our domain, paying our contributors, and other expenses. You can check out the campaign for details. I know that Wrimos are great at donating, and donations of $10 or more puts their name on our website as a founding sponsor. The campaign won’t make or break whether the magazine is started, but it will determine whether or not we can pay our authors. And who doesn’t want that? This entry was posted on Monday, November 24th, 2014 at 1:10 pm and is filed under Wrimos. You can follow any responses to this entry through the RSS 2.0 feed. You can leave a response, or trackback from your own site.